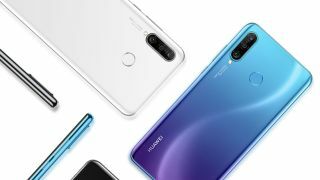 There is a new baby brother to the Huawei P30 Pro - a smartphone that currently gets our vote as the best camera phone. But the new P30 Lite offers a lot more than you might imagine for what you might have thought for a budget version of the clan - and particularly so as far as photographers are concerned. The Huawei P30 Lite does not have the four cameras of the P30 Pro - but it does have a very respectable triple-lens set-up on the rear. But the surprising thing is that the main camera actually offers a higher resolution than the P30 Pro - offering a resolution of 48 megapixels (compared with 40MP on the Pro). This main 48MP camera sports an f/1.8 wide-angle lens with a 2x optical zoom function. In addition there is a 120° ultra wide-angle lens with an 8 megapixel resolution. Finally at the rear there is a 2MP 'bokeh lens' time-of-flight camera for better depth perception. A notched front camera offers a 32 megapixel sensor for selfie shooting – whilst causing minimal infringement on the 6.15 inch screen. The Huawei P30 Lite will go on sale from 10 May and will cost £329 SIM free. It will be available in three color finishes - blue, white and black.